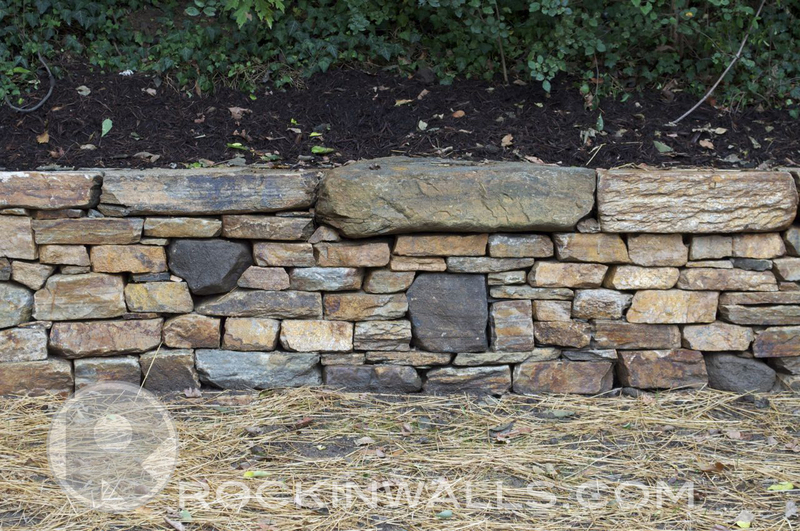 The Dry Stone Conservancy from KY working with Allied Construction took on this massive undertaking in the Summer of 2010. 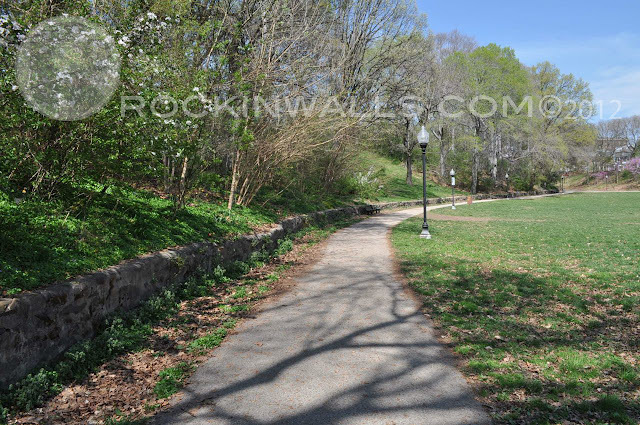 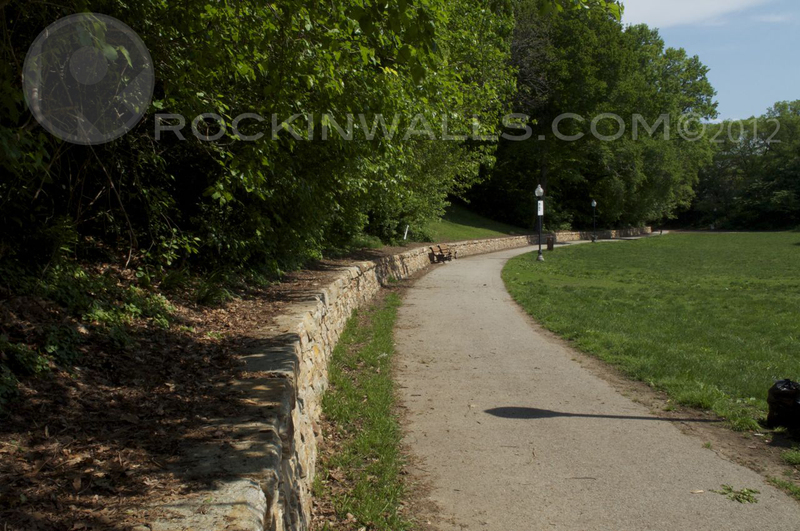 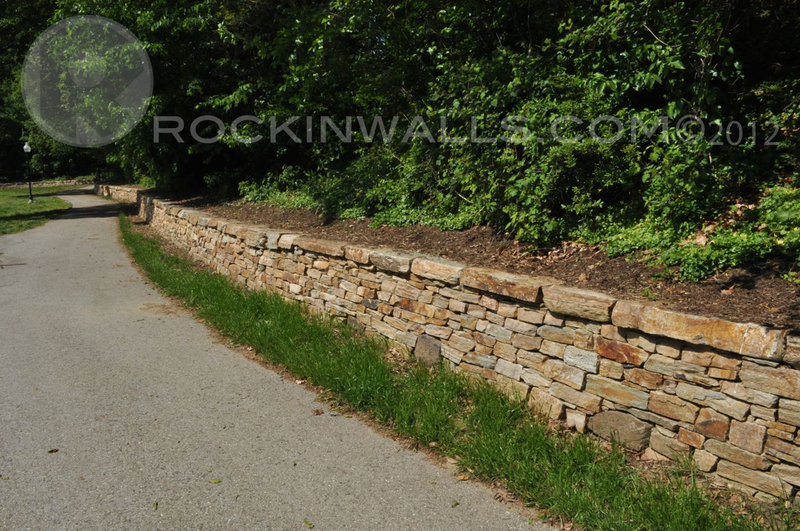 The wall was a total of 1400 linear feet on average 3 ft high Butler stone retaining wall. Twelve Certified Dry Laid Masons from, MD, NY, MI, NC, KY working for 2 months to finish this amazing Dry Stone Project. 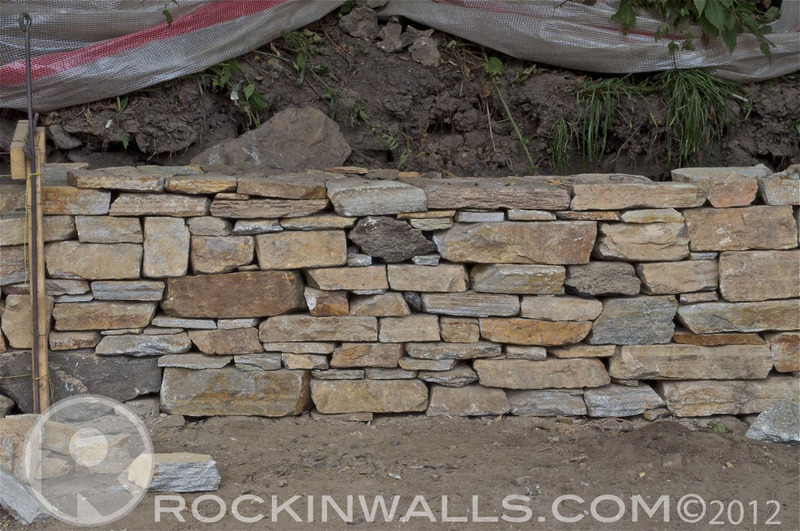 We worked on 6 ft sections at a time. 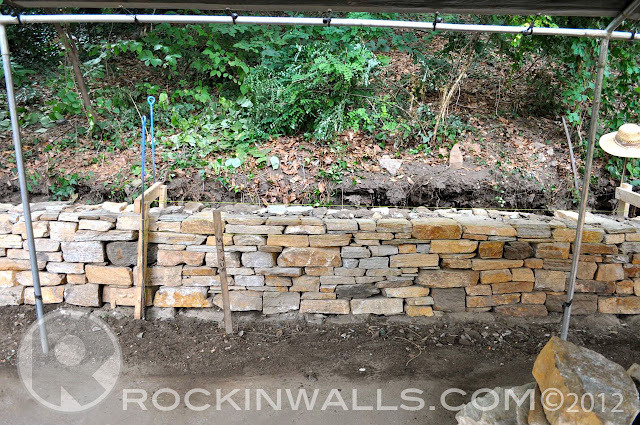 Once we finished our section we would moved down to the last waller. 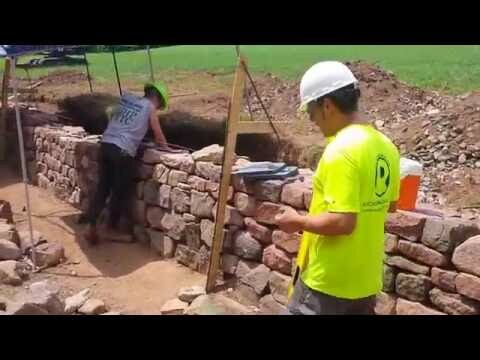 Starting the process all over again. 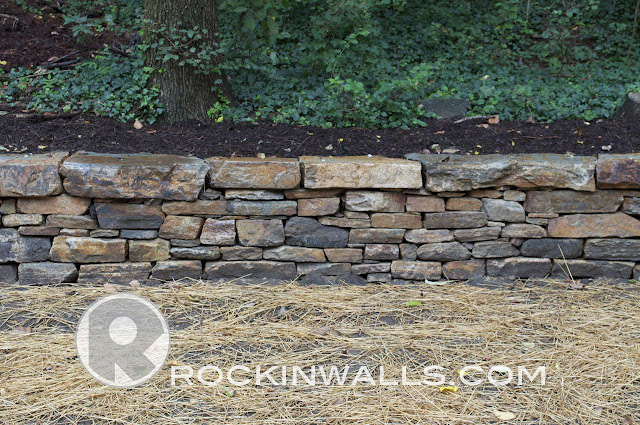 These are a few of the sections I'm proud to say I built!. Cap stones are a min of 8 inch thick weighing in at a min of 200 pounds per stone. 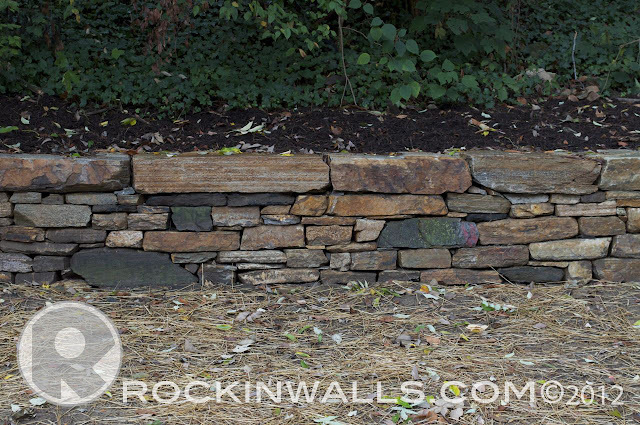 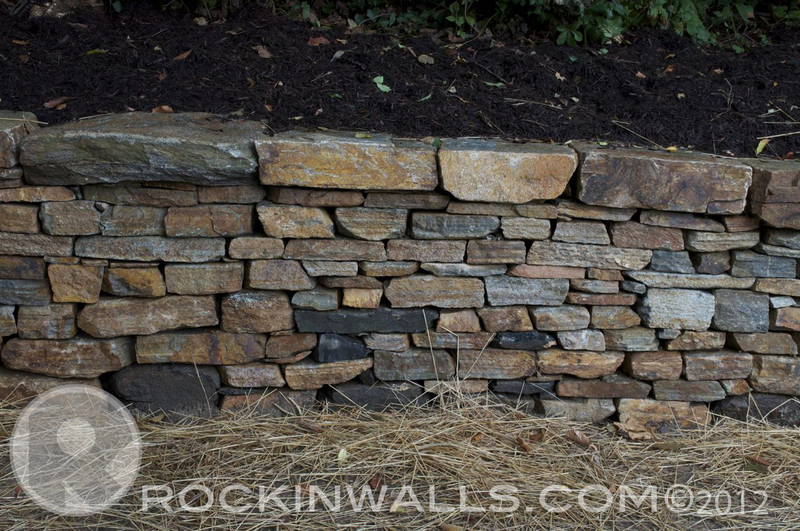 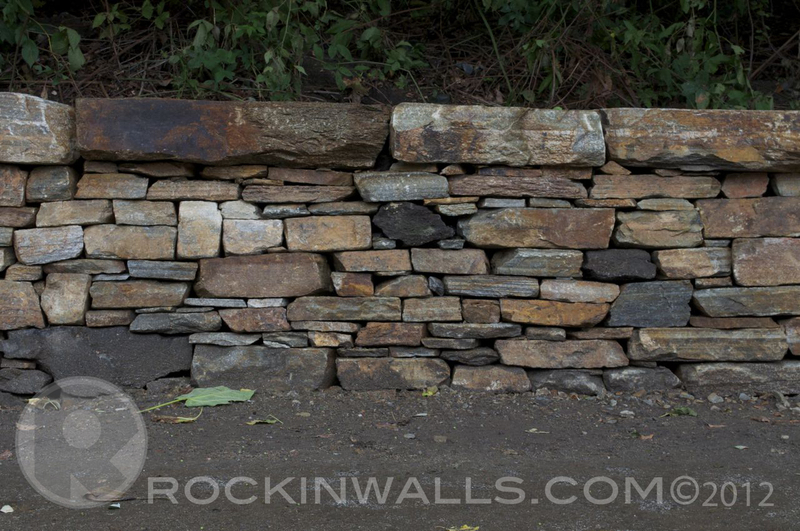 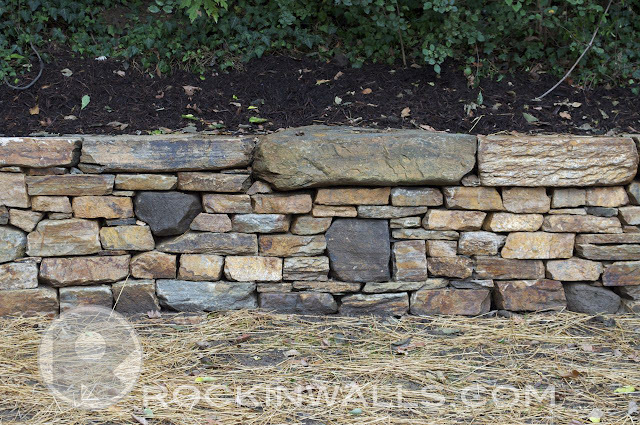 Rockin Walls specializes in the Craft of Dry Laid Stone with an expertise on local quarried Butler Stone. 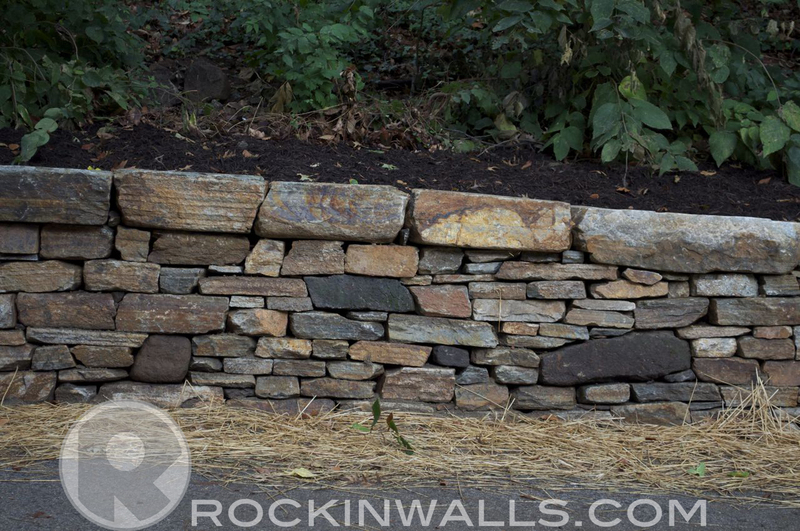 Why would you hire a wet mason to build a dry stack stone wall?